Can you smell that? The first smells of Fall are in our kitchen. 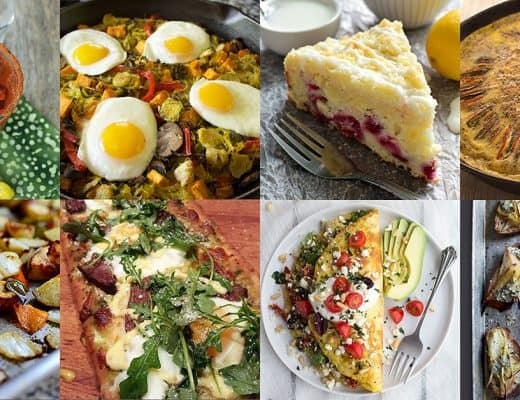 Not only is the weather about to be amazing, but we are super excited to share some recipes full of that warmth and spiciness that only Autumn can deliver. 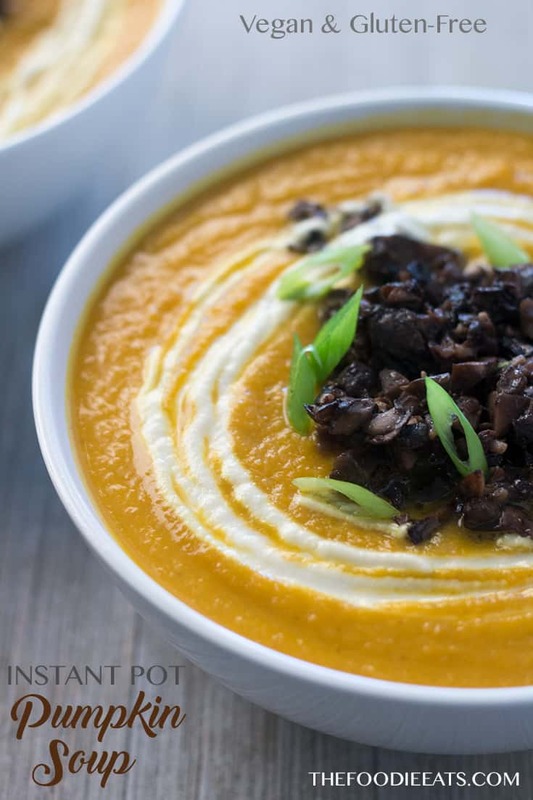 And this Instant Pot pumpkin soup is only the beginning! 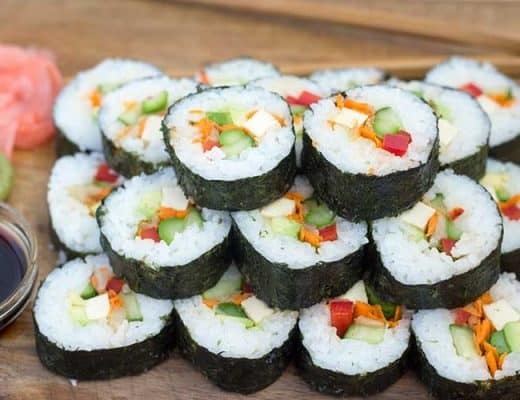 It’s both vegan (aka plant-based) and gluten-free, with a non-traditional flavor profile. So if you’ve never tried the combination of pumpkin, nutmeg, and cardamon – let this be the reason you try it out! I know that when I look at a recipe and I don’t know one of the ingredients, I am less likely to try it. Or at the very least… leave it out. But trust me on this! If you haven’t ever tried cardamom, try it now. Cardamom is a very strong and aromatic spice. It has a spicy, herbal, and citrusy character and goes very well with cinnamon, nutmeg, allspice, clove, and other aromatic spices. I actually tried this soup without it, just to see, and it was nothing special. It’s amazing what one spice can do to a flavor profile! 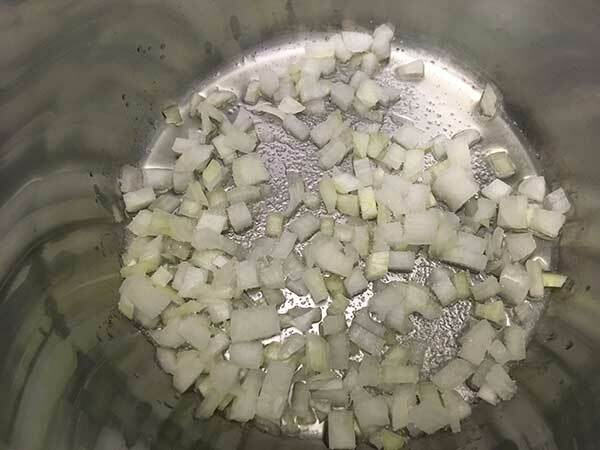 Using the sauté setting – add oil, onions, and 1/2 teaspoon of salt. Cook until soft and translucent (about 3 – 4 minutes), stirring constantly to prevent burning/browning. 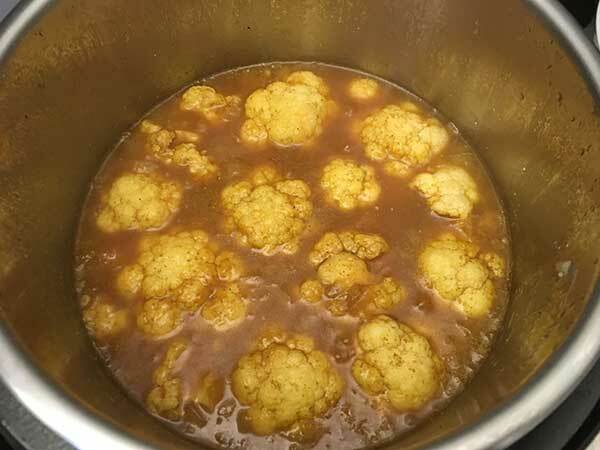 Then add cauliflower florets, vinegar, and black pepper and continue cooking for another 3 minutes, stirring frequently. 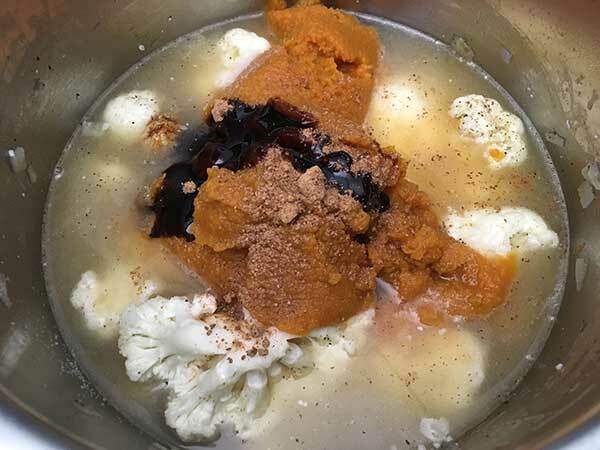 Add broth, pumpkin, cardamom, nutmeg, molasses, and 2 tsp. of salt – mix well. Lock lid and cook at high pressure for 5 minutes. Once cook time is complete, quick-release pressure, then remove lid. 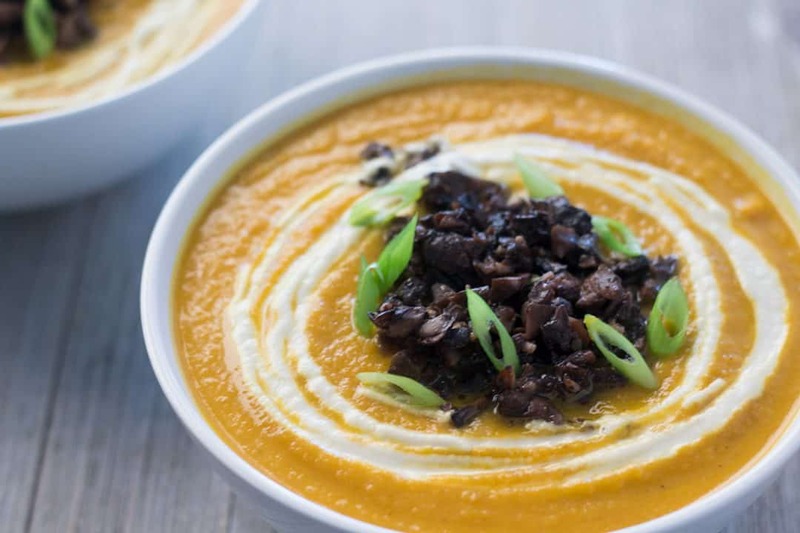 Using an immersion blender – blend soup until completely smooth. Or transfer to a high-powered blender (in batches). Remove the round insert from top of the blender and cover the hole with a towel. Blend slowly at first, increasing speed incrementally to avoid mess. Blend until incredibly smooth. 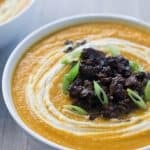 This Instant Pot pumpkin soup is both vegan (aka plant-based) and gluten-free with a non-traditional flavor profile that says Fall is here. Using the sauté setting - add oil, onions, and 1/2 teaspoon of salt. Cook until soft and translucent (about 3 - 4 minutes), stirring constantly to prevent burning/browning. 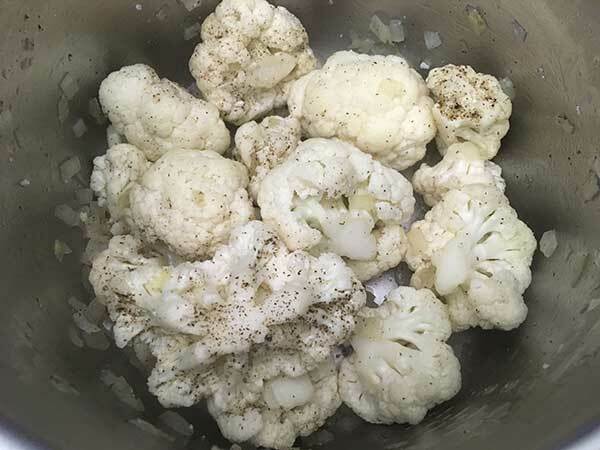 Then add cauliflower florets, vinegar, and black pepper and continue cooking for another 3 minutes, stirring frequently. Add broth, pumpkin, cardamom, nutmeg, molasses, and 2 tsp. of salt - mix well. Lock lid and cook at high pressure for 5 minutes. 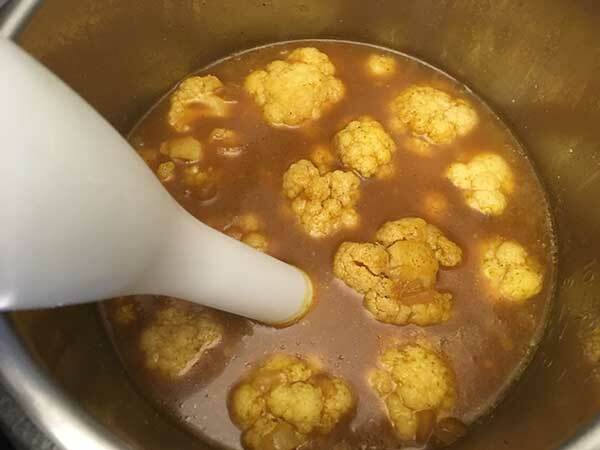 Using an immersion blender - blend soup until completely smooth. Or transfer to a high-powered blender (in batches). Remove the round insert from top of the blender and cover the hole with a towel. Blend slowly at first, increasing speed incrementally to avoid mess. Blend until incredibly smooth. Finally, add butter and mix well until fully melted. Serve and enjoy! Top with your condiments of choice, like pumpkin seeds. Pictured with sautéed mushrooms, cashew cream, and green onions. 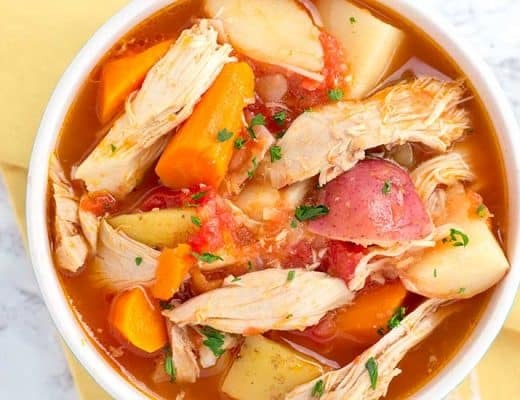 I love Instant Pot soup recipes and how quickly they come together. This is perfect for the cold weather we’ve had here in Florida lately. 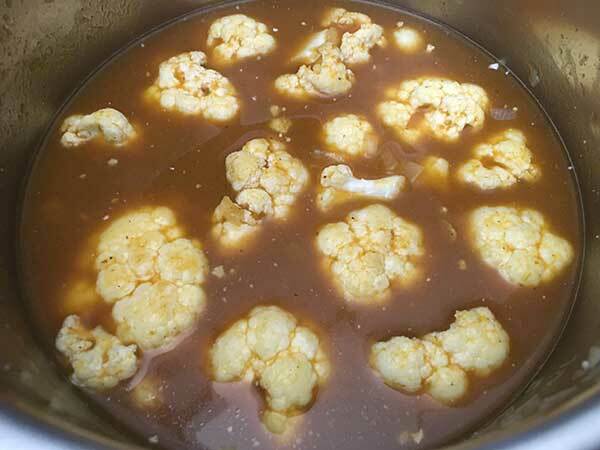 Could I double this recipe and still fit it into a 6-quart Instant Pot? I’m new at this IP game, but already foresee that my slow cooker is going to gather some dust. Yes, I think that would work just fine. Though I might not double the cardamom since it has such a strong flavor. And it’s funny, we now use our slow cooker like twice a year!